Signs of autumn | Where's Zoe now? I grew up with hot summers and mild winters; autumn in Perth mostly just means the evenings get longer and it becomes bearable to be outside in the middle of the day. For me, chilly mornings and hazy light and falling leaves still feel like something out of a story book, something I never quite believed existed. Also, will I ever get over the ‘let’s make everything pretty’ architecture? Probably not. So I’ve been doing autumn things, like getting in as much gelato as I can before it’s too cold, and making plum jam. Buying fruit for that, I had the opposite problem at the market to usual — normally I’ll ask for half a kilo of something and the stall-holder will try to sell me at least a full kilo, if not two. Buying 4kg of plums, on the other hand, I had to hold up fingers and very clearly enunciate quattro chili, to the great amusement of the seller who probably couldn’t imagine why the strange foreign girl wanted so much fruit (I counted 48 plums went into the saucepan, plus those that I ate fresh). Actually, most of autumn seems to be about food: plums and fichi d’india and mushrooms. One of my lasting mental images of Torino is from the first autumn I was here, walking into the fruit and vegetable market at Porta Palazzo in the middle of the afternoon, with golden sunlight that you could almost touch and stalls upon stalls of produce, with so much of it completely different to what was available a few weeks prior. It was one of those moments where I marvelled about where I am now, having done nothing to deserve any of it. I had another moment like that the other night, it was a drizzly evening and I took the bus home, looking out the window at the lights from the shop windows reflecting off the paving stones of the street. I was listening to my “you listened to this as a teenager” playlist on my phone, and I realized that actually, going home to my cozy apartment in a beautiful city was more or less exactly what I daydreamed of as a teenager. Which was a good thing to realize, I think: it’s my birthday in a few weeks and I find it very easy to ask my self so, what do you have to show for yourself after this many years?? And this year I have an answer. I am literally living the dream! And it has nothing to do with achievements or goals met, which is a relief. What was supposed to be a post mostly about jam-making has turned rather introspective… But then, autumn does seem to be the season for spending time thinking, doesn’t it? 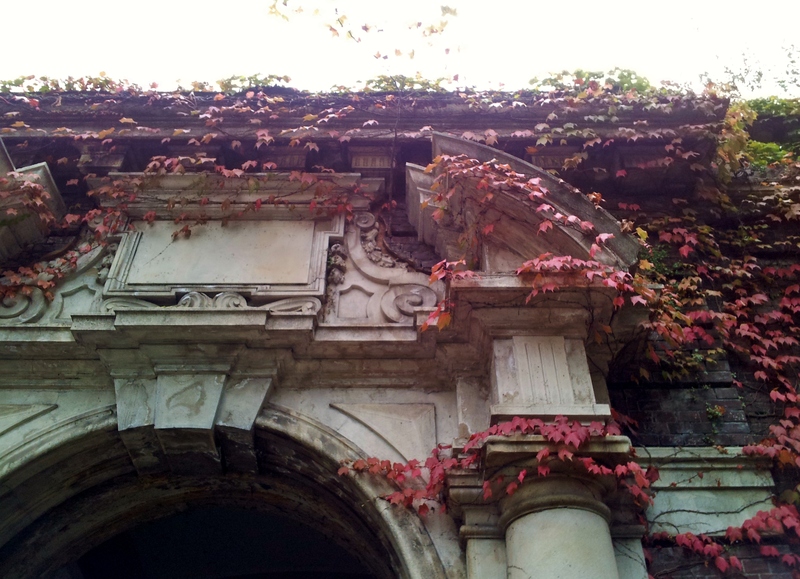 This entry was posted in Italy, Living in Turin and tagged autumn, fall, food, october, september on October 6, 2014 by Where's Zoe Now?. Pingback: Getting the hang of winter. | Where's Zoe now?